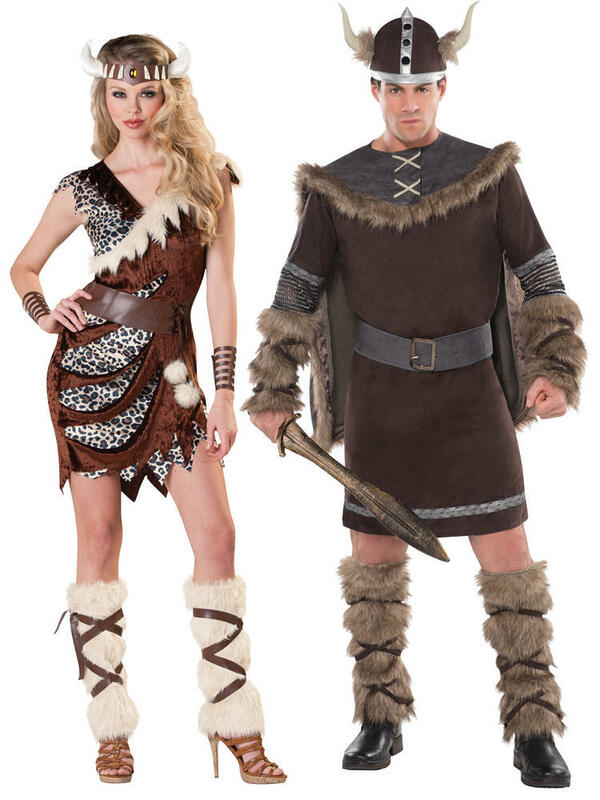 Transform yourself into a Viking Warrior or the Nordic Valkyrie Goddess Freya with these barbarian themed fancy dress costumes. 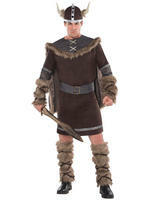 Barbarian Costume includes V-neck leopard print dress with velvet style ripped overlay. The dress has a furry neckline and jagged hem. Completing the look is a brown adjustable belt, wrist guards, horned headpiece and a pair of furry legwarmers. Viking Warrior includes a brown tunic with chainmail sleeves, an attached faux suede belt and faux fur around the forearms. To complete the outfit is a pair faux fur leg warmers, helmet with two horns coming out the sides and a fur-trimmed cape.